Closet Chic: The Printed Jumpsuit – Lovely.Multifaceted.Chic. I hope your day is off to a positive and productive start. I really like my printed jumpsuit from Fashion to Figure. I wear this jumpsuit often because it is so versatile for work and outside of work. It’s super comfy and chic. 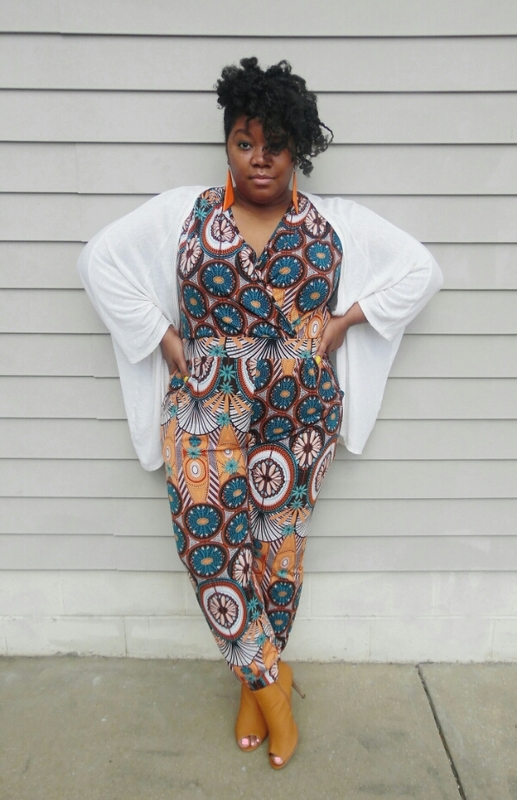 On Sunday, I wore this jumpsuit with an over-sized cardigan I got from Charlotte Russe plus sizes. I wore my peep-toe booties are from Rue 21. I wore some orange wooden earrings that I got from the World National Hair Show last year. I kept my accessories simple because my jumpsuit is pretty bold due to the color and print. I’ve been playing around with protective styling my natural hair without using any additional synthetic hair. I flat twisted my hair up into a faux-hawk. I curled and twisted my hair at the top with flexi rods overnight. I untwisted my hair and fluffed it. I’m trying to have a little more fun with my hair. 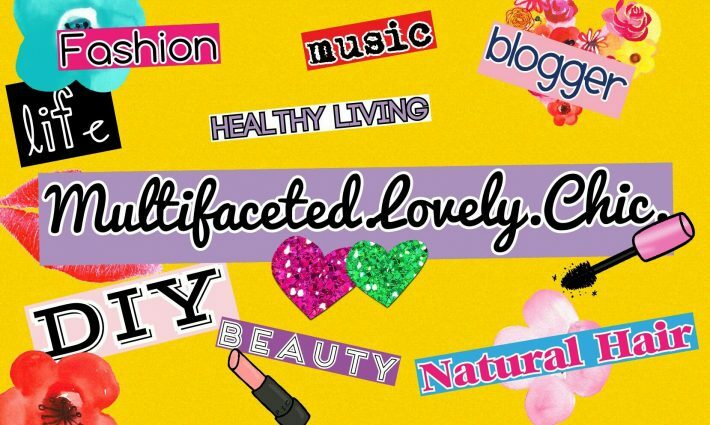 Thanks for reading and have fun with what you have in your closet! 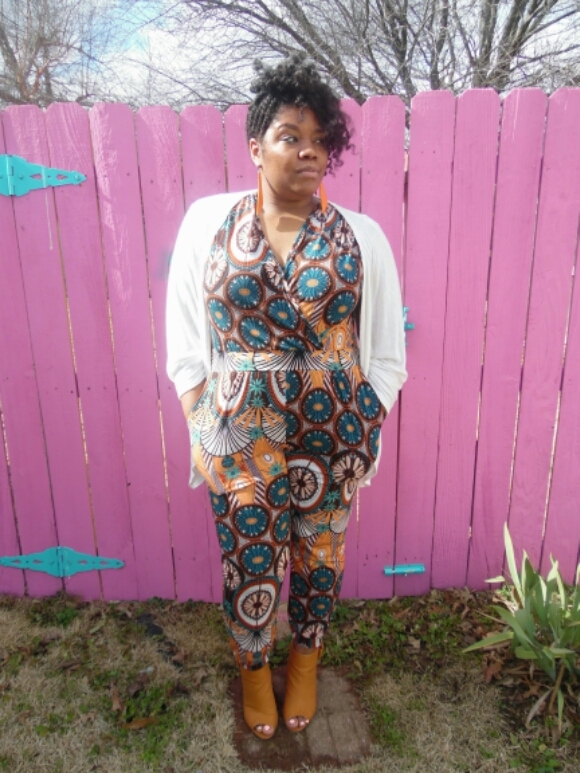 This jumpsuit is killer and I love how you styled it with the white cardigan!